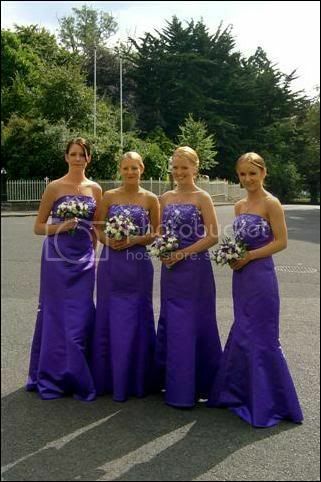 I was just wondering if any of you had purple bridesmaid dresses and if so how did they come out in photos? If you could pm me with photos it would be great. 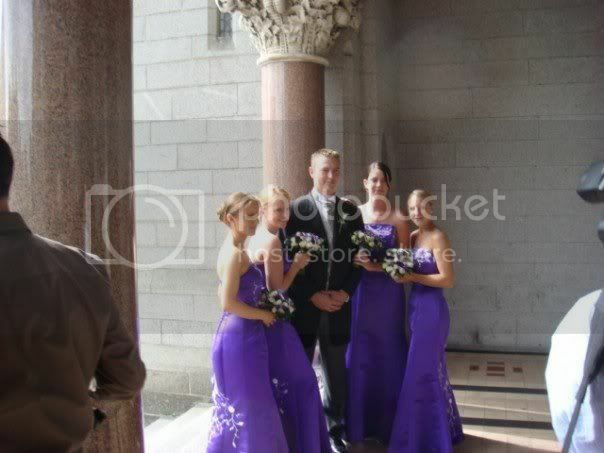 I had purple bridesmaid dresses and I think they looked lovely, Ill post a picture later when I get home. I had violet BM dresses. Kind of like the cadburys purple. Wow, they are fab BM dresses Bokkie. The colour is really stunning and you look fab!! Congratulations! MrsWhippy09 wrote: Wow, they are fab BM dresses Bokkie. The colour is really stunning and you look fab!! Congratulations! I had purple too and everyone thought it was stunning. Here are mine we had cadbury's purple they came out a bit dark in the photographs in some of them. My bridesmaids had aubergine type purple dresses and they turned out fab, if you want to PM me your email address I'll mail you a pic! Bokkie - I love those dresses - have been searching high and low for something just like that. Can I ask where you got them from?? Want to look fabulous on your wedding day? 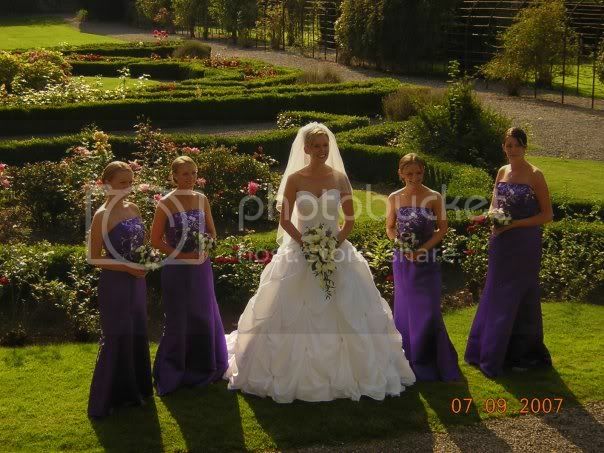 Sharon's professional experience enables her to create your desired look for your special day.